Writer’s Avenue is a new UK theatre company striving to produce exciting new plays by new writers. It gives new writers a platform to develop their writing through events such as The First 20 Minutes Competition whilst supporting them during the development process. Artistic/Managing Director and Producer, Sandra Quartey is the founder of Writer's Avenue and will be Euro #Scriptchat’s next guest on 5th December 2010 at 8pm GMT. Pick up tips on how to listen, digest and translate feedback and ask questions about the development process. For example, what if there are conflicting notes from different readers? How does the writer deal with such feedback? With theatre writing being a great launching pad for new writers within the UK, this is also a great opportunity to find out more about a company who can help you develop your writing for a public audience. In the past, productions have been staged at Soho Theatre with future productions also planned for The Pleasance. Writer's Avenue also offers a number of part time courses, workshops and services for both writers and actors. For more information, check out their website here. 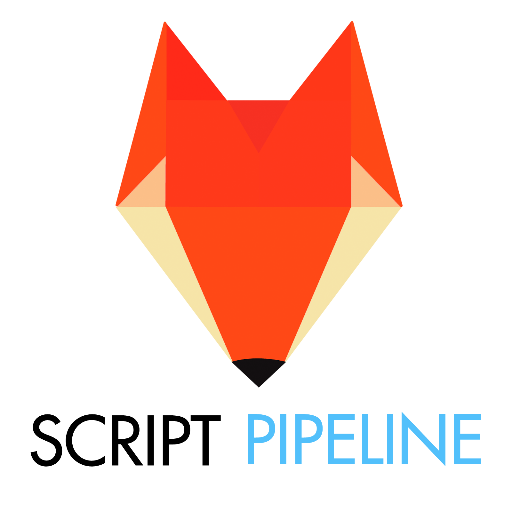 Scriptchat is thrilled to have Peter Hanson guesting on our December 5th Script Night, discussing TALES FROM THE SCRIPT. 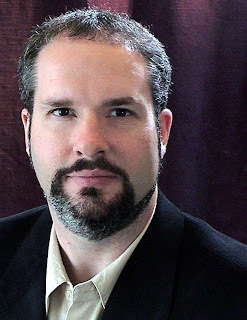 Writer-filmmaker Peter Hanson is the director of films including the acclaimed documentary “Tales from the Script,” the author of three books about cinema, and the writer of screenplays including “Savage,” which recently sold to production company Picture Road. He is in preproduction on his first fictional feature, “The Eulogist,” which is based on his own original screenplay. Michigan native Hanson studied film and screenwriting at New York University, where his instructors included celebrated documentarians Jim Brown (“The Weavers”), Christine Choy (an Oscar nominee for “Who Killed Vincent Chin?”), and Michel Negroponte (“Jupiter’s Wife”). He also studied journalism at the University at Albany. Hanson worked extensively in student journalism during his college years, then began a ten-year career as a professional reporter-editor for various publications in upstate New York. Hanson’s work for newspapers included features, hard news, interviews, and reviews, in addition to managerial duties. During this period, Hanson worked on several independent film productions, occupying such roles as assistant director, story consultant, and storyboard artist; he also undertook his first professional screenwriting jobs and wrote his first two books. His debut title, "Dalton Trumbo, Hollywood Rebel,” was the first book-length study of the title subject's screenwriting oeuvre, which includes such classics as "Exodus," "Roman Holiday," and "Spartacus." Originally published in 2001, the book was a finalist for the National Theatre Library Association Award. Reissued as a paperback in 2007, the book led to Hanson’s inclusion in the acclaimed documentary feature "Trumbo." Hanson's follow-up book, "The Cinema of Generation X,” explored the work of filmmakers including Kevin Smith, Steven Soderbergh, and Quentin Tarantino through the prism of generational identity. “The Cinema of Generation X” was published to favorable reviews in 2002. Hanson's professional directorial debut was a 2002 short about the interaction between high school students in Columbia County, New York, and their filmmaking advisor Courtney Hunt (the Oscar-nominated writer-director of "Frozen River"). Hanson’s featurette was shown at the 2002 FilmColumbia festival. That same year, Hanson made the feature-length documentary "Every Pixel Tells a Story." To launch the film and to amplify its theme of digital filmmaking unifying the community of independent filmmakers in and around Albany, New York, Hanson organized the well-attended Capital Region Digital Film Expo. The feature version of “Every Pixel Tells a Story” screened at regional festivals in 2002, and an hour-long version appeared on PBS affiliate WMHT in 2003. In 2003, Hanson relocated to Los Angeles, where he has undertaken numerous freelance screenwriting jobs and worked at Cartoon Network, New Line Cinema, and Warner Bros. Studios, among other companies. His freelance clients have included Film Independent’s Filmmaker Labs, for whom he read and analyzed screenplays. From 2003 to 2009, Hanson was on the producing team for the annual Saturn Awards. In 2005, Hanson cowrote the narrative feature “The Last Round,” and in 2006, Hanson launched the production company Grand River Films. That same year, he wrote the fantasy novella “The Mourning Queen,” available exclusively on this site. Hanson ended 2006 by launching a major documentary film/nonfiction book project about screenwriting. Titled “Tales from the Script,” the project features exclusive interviews with dozens of Hollywood screenwriters. In 2007, Hanson wrote and directed the award-winning short film "Stagehand," which was licensed by Big Film Shorts and Mini Movie Channel. In 2008, Hanson wrote and line-produced a series of irreverent promotional videos starring actress-dancer Lexy Hulme, and line-produced original comedy videos starring stand-up duo April and Christina. In early 2010, the "Tales from the Script" book was released by HarperCollins Publishers, and the "Tales from the Script" movie was released by First Run Features. The book and DVD are available here. Hanson also recently returned to freelance journalism, contributing to magazines including “Script” and “Written By,” and occasionally blogging about movie-related topics at AssociatedContent.com. In 2010, Hanson sold his action/horror script “Savage,” based on a story cowritten with Thomas Curley, to independent production company Picture Road LLC. He also launched the whimsical blog "Every 70s Movie." Hanson is currently in preproduction on his first fictional feature, “The Eulogist,” based on his own original screenplay; he will direct the film and be one of its producers. Hanson is also completing his next nonfiction book. Hanson lives in Beverly Hills with his wife, Leslie. To get a regular taste of Peter’s viewpoints, follow his blog, Every 70’s Movie. For Peter’s professional script consulting services, visit Grand River Films site for information. We’re excited to have Peter join us, and we hope you can all make it! 8:00 pm DreamsGrafter: #SCRIPTCHAT O'CLOCK ... It's an open topic tonight so feel free to discuss anything that takes your fancy! 8:06 pm filmutopia: #scriptchat it is quiet isn't it... and what's #xfactor, never heard of it! 8:07 pm eph_bee: #scriptchat how much is collaboration vital to the progress of a script? how much is feedback essential to shape a screenplay? 8:17 pm eph_bee: @PennyAsh #scriptchat that's why i set up my writing group, #fas, cos there is only so much friends/family will be able to say. 8:27 pm DreamsGrafter: @BSilverSpoon Will check out link after #scriptchat ... thanks! 8:27 pm filmutopia: #scriptchat. Can I just test a theory? How many people in this group have read both Ulysses and A Moveable Feast? 8:29 pm theodorefisher: (Raises hand.) RT @filmutopia: #scriptchat. Can I test a theory? How many people in this group have read both Ulysses & A Moveable Feast? 8:32 pm kingisafink: One of us raises a hand. RT @filmutopia: #scriptchat. How many people in this group have read both Ulysses & A Moveable Feast? 8:33 pm DreamsGrafter: @momentsoffilm 2011 calendars! ;) #scriptchat I did like Leo in Shutter Island. 8:34 pm filmutopia: #scriptchat Interesting answers. OK. One last question. How many people in this group own copies of Stalker and Fitzcarraldo? 8:39 pm filmutopia: #scriptchat I'm pondering. Back shortly. 8:40 pm davidjohnjones: #scriptchat Hard at work on my first draft for my Writers' Store contest entry and enjoying and loving the whole creative process. 8:40 pm madskiadrai: @aldoswastia do, coba lu search #scriptchat deh. Seru, pnulis euro lg pada diskusi di twitter. 8:41 pm theodorefisher: (Lowers hand.) Love Herzog, though. RT @filmutopia: #scriptchat How many people in this group own copies of Stalker & Fitzcarraldo? 8:57 pm AfricanIDentity: #scriptchat I personally believe shorts are the future of film. 8:58 pm fnafilms: @paul_a_smith Only cause it's local. It's also NFL, #Filmcourage and #scriptchat. My heed is in bits. You going to Thursdayfizz? 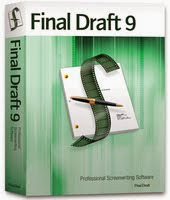 8:59 pm DreamsGrafter: Just to flag up @WritersAvenue will be guesting for Euro #scriptchat in December. Chk them out. Great for new writers breaking in. 1:00 am jeannevb: and it's #SCRIPTCHAT O'CLOCK.... OPEN TOPIC tonight! 1:01 am WellScripted: Hey #ScriptChat, let's get freaky! 1:01 am yeah_write: Hey folks, it's once again #scriptchat hour. Open topic, but ignore if you aren't interested in screenwriting. 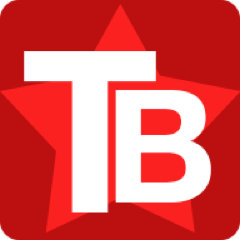 1:02 am thetissuetalk: Lurking on the US #scriptchat today. Lurkity lurk lurk. 1:03 am IONRyan: Gonna try to keep up with #scriptchat tonight!! 1:03 am GinyMacGregor: @zacsanford I'm trying link but nothing is showing up for #scriptchat doing this from twitter screen?? 1:05 am jameskick: Oooh, I'm near a computer for #scriptchat tonight. What's the topic? 1:06 am pulptone: RT @jeannevb: and it's #SCRIPTCHAT O'CLOCK.... OPEN TOPIC tonight! 1:07 am booksbelow: I think I'll have to do #scriptchat the old fashioned way, if that works. 1:13 am sdarancette: RT @jeannevb: write about the day you met #scriptchat haha RT @PennyAsh: Considering a first contact story #scriptchat - We met cute. 1:14 am HP4Writers: RT @jeannevb: and it's #SCRIPTCHAT O'CLOCK.... OPEN TOPIC tonight! 1:15 am KageyNYC: Hey #scriptchat, phew, just got in, what's shaking! 1:37 am filmartist: @zacsanford I STILL am waiting for your #scriptchat info! Am I going to do this at some point? 1:44 am jeannevb: @GinyMacGregor @zacsanford @scripteach @Todfilm @audreyunboxed #scriptchat Thanks! 1:53 am MyBrainHurts: If anyone needs help to stay focused while writing their next script, I recommend www.script-race.com. Next race starts Jan 1 #scriptchat. 1:54 am thetissuetalk: #scriptchat is on fire today. 1:54 am art1032: RT @MyBrainHurts: If anyone needs help to stay focused while writing their next script, I recommend www.script-race.com. Next race starts Jan 1 #scriptchat. 1:55 am TyroneHydraulic: RT @thetissuetalk: #scriptchat is on fire today. 1:58 am KageyNYC: Dear lord, I've had such a day, #scriptchat is almost over and I never even poured a drink! 2:00 am yeah_write: Something tells me the #scriptchat will be running overtime tonight. 2:05 am I_Am_Remote: @joda07 Grrr... Trying to keep up with #scriptchat is ruining my grammar recall. "Stakes"
2:05 am elizabethkarr: @i_am_remote @jameskick @thembob "Fellow writer friends r very valuable." 2:07 am The_Jodi: Missed #scriptchat while seeing Harry Potter! (Yes I said that with a crisp posh accent.) Fun movie but wish they had more faith in us. 2:12 am art1032: @Talltales08 Welcome and you are getting through. I see your tweets. :) #scriptchat. 2:23 am EverettMaroon: Did I miss #scriptchat?? ?